Dense smog shrouds Taiyuan, capital of Shanxi Province, on Dec. 24, 2013. 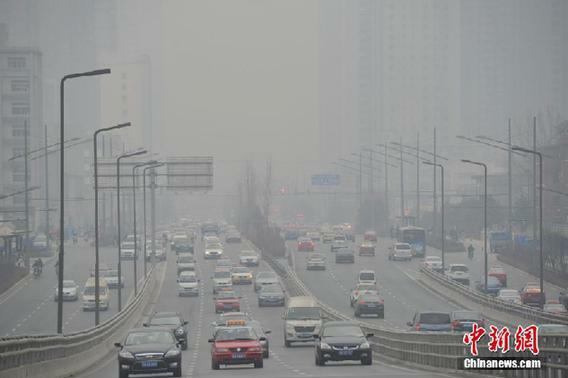 Shanxi province has put forward a contingency plan to deal with heavy air pollution. According to the plan, kindergartens and schools will suspend classes when a pollution red alert is issued. Enterprises discharging pollutants will be ordered to stop or limit production and half of the province's vehicles will not be allowed on the roads, according to the last digit of their number plates. Color-coded pollution alerts, yellow, orange and red, will be issued along with guidance for appropriate measures.